I have multiple AirPlay-compatible speakers around my home but it seems that I can stream music from my iPhone to just one of them. Yet on my Mac I can stream to multiple AirPlay speakers. Isn’t there some way to do this on iOS? Not without some help from a third-party as Apple specifically limits AirPlay output to just the single destination. If you’d like to stream music that’s on your iOS device, take a look at Thomas Schwitzer’s $3 Multiroom Music/Radio Player app. The "on your iOS device" is in italics for good reason. This app will not send music you’re streaming via your device—Pandora, iTunes Radio, or a music subscription service such as Spotify or Beats Music—to multiple AirPlay devices. It must be music you have on the device itself. For that $3 you have the ability to stream to two destinations. You can add up to six destinations with an in-app purchase of $2 per destination (so, $8 to add four additional speakers). 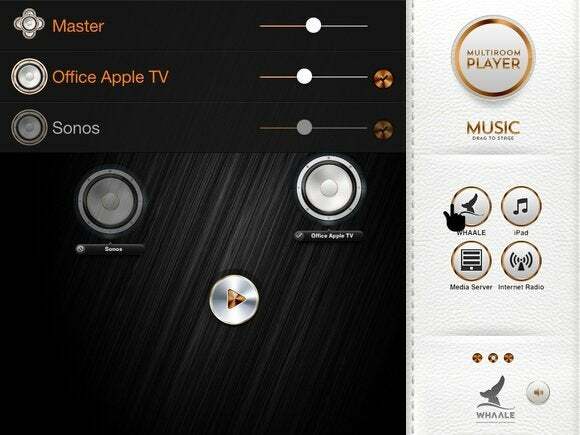 This $3 app lets you stream music from the Music app's library to multiple AirPlay destinations. It’s a very slick app, though a little crowded on an iPhone or iPod touch. If you keep your media on your device it’s definitely worth trying. But, if you’re like me, you use your iOS device to play audio from sources other than the Music app. There’s a way to do this if you have a Mac nearby and are willing to invest $25 to make this a reality. That $25 will go into the worthy pockets of the folks running Rogue Amoeba Software. Specifically, you’ll purchase Airfoil for Mac. The process, as devised by Rogue Amoeba, goes like this. Rogue Amoeba's Airfoil helps channel your device's audio to multiple destinations. Having launched both Airfoil and Airfoil Speakers for Mac on your Mac, move to your iOS device and configure its AirPlay menu to send audio to the Mac. (In iOS 7 bring up Control Center, tap on AirPlay, and choose the name of your Mac from the list of destinations.) In a short time, the music will play on the Mac via Airfoil Speakers. You now turn to Airfoil where you see a list of all your output destinations. Click on its source entry at the top of the pane, choose Other Application, and then select Airfoil Speakers as a source in the window that appears. Now click on the audio icon for each destination you want to send audio to. It should start playing on each device you’ve selected. So, what’s happened here? 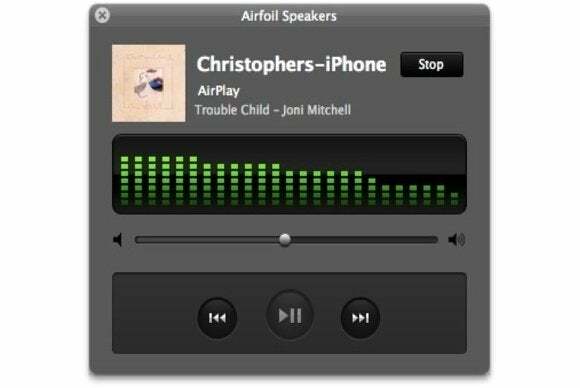 Airfoil Speakers turns your Mac into an AirPlay receiver for your iOS device. Once that audio’s coming into your Mac, the Airfoil application then channels it out to any AirPlay devices you select. Obviously it would be great if iOS did this natively, but in the meantime, it’s a workable solution.